Film Museum + Convention Centre = WIN !! What a great note to end the year on. 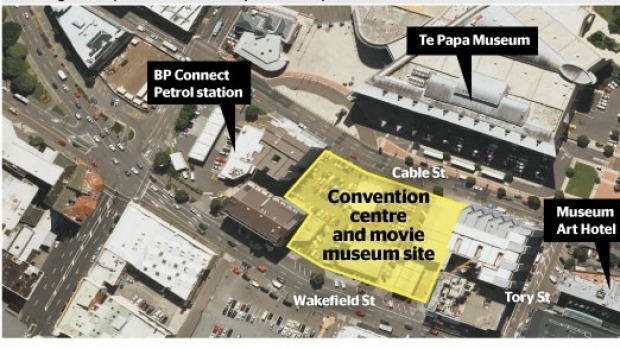 The long derelict site opposite Te Papa is to be the location, apparently, not just for a Convention Centre, but also a Film Museum with props from the Jackson empire. I’m truly impressed that this has been put together – and kept secret (well, at least kept secret from me), and that two really good purposes have been found for a site that has seemed like it was searching for a reason to exist. The previous proposal, for Mark Dunajtschik’s combined hotel and convention centre, was never a flier, despite the valiant efforts of architects HBEMT to make it work, as Hilton guests were always going to want a better view than the arse end of Te Papa. Indeed, the rump of Te Papa has always been both the attraction of the site, and the failing. This way, a physical connection between our national Museum and our Wellington playzone can be firmly established, without anyones eyes having to be hurt by gazing at the large concrete panelled walls of “Our Place”. Perhaps that explains now why Dunajtschik’s scheme was so swiftly sidelined into Siberia, in unexplained madness a year ago (and we still haven’t heard the last of the Hilton proposal – last rumoured to be still in negotiations with Centreport over land near Kumutoto). “Wellington businesses, Willis Bond & Co, L T McGuinness and Studio Pacific Architecture will undertake the project. 350,000 visitors to movie museum expected each year. $36m per annum expected benefits to the Wellington economy. 1000 jobs expected to be created. Those are all good news stories in themselves. Without doubt, Wellington’s best developer, in cahoots with a great contractor and an architect who rarely fails to perform, gives me a lot of hope that this project will be a real winner. I totally agree. This has to be a winner. Great location, great architects, great “hook”. Just what the city needs. Let’s hope all of Wellington gets behind it. Positive, positive, positively Wellington. Although, This really needs to be a stunning building. If they come up with a glass box with Fins, there is gonna be trouble…..
Well, let’s ask the Architects to show us what they’re up to. Studio Pacific have been quite good in the past, to show snippets of their work, to engender public discussion. I’m fairly sure they read this blog occasionally, so maybe they could drop us a line? Speaking of which, nice to see Trish here, and also nice to see that Greenwelly is back as well – long time since you’ve commented here? Making a film museum successful LONG TERM is a difficult thing to pull off. I recall the Museum of the Moving Image (“MOMI”) in London which financially imploded after about ten years. Even Hollywood with its millions of tourists per year is littered with failed film museums going back to the 1920s and to this point not even the Academy of Motion Picture Arts and Sciences have managed to pull it off with their latest attempt stuttering along. There will also be desire to make the new museum “hi tech” and “interactive” which is fine except that “hi tech” can end up looking tired very quickly without continual (= expensive) upgrades. According to the Council report, ticket prices are estimated to be in the region $30 – $40 per single adult entry which will put many NZ’ers off (we are tight fisted when it comes to paying for museum entry). A family entry for mum & dad + 2 or 3 children is thus likely to hit $100+ which is a difficult proposition when Te Papa across the road is free. I agree that having something well designed on this site will be a great asset to the city but I’m worried that as far as the museum is concerned we could be looking at another (for those who remember it) “Capital Discovery Place”. JohnH – difficult, yes, but not necessarily impossible. The Australian Centre for the Moving Image, ACMI, in Melbourne, is fantastic, and packed full of people every day – both kids and adults. Lots of little snippets from Crocodile Dundee, Picnic at Hanging Rock, The Castle, and Malcom etc, but also wonderful displays where you can mix your own sound track, edit a short film, even Indonesian shadow puppets. I could go back there time and time again – mind you, it is free. Both of these are valid comments, but both should be easily answered. 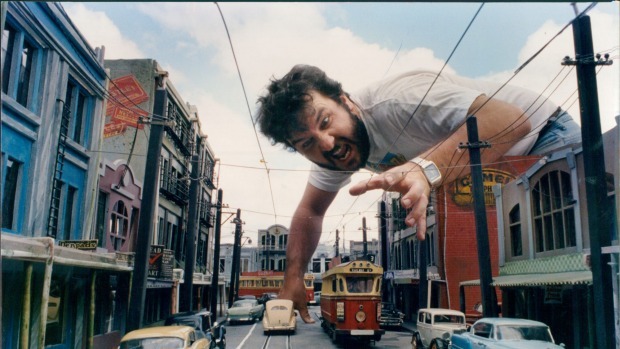 I’m sure that although Weta will be providing lots of the props, Sir Peter has enough of a love of other artists work that there will be other directors work inside, and there is certainly nothing to suggest that Studio Pacific will suddenly abdicate all responsibility for the external appearance over to the polystyrene crafters at Stone Street Studios. But it is a good point. What will it look like? Essentially, a film museum wants for nothing more than to be a Black Box of space, with no external windows – hence MOMI and ACMI and Capital Discovery are all buried underground (the Convention Centre on the third floor of course wants both to be closed off, and to open up for 15 minutes every 2 hours….). Levi; I agree that ACMI is fab. I had a great chest-swelling-with-pride experience there when I dragged a group of Melbourne-based in-laws I was staying with along to an exhibition of Len Lye’s kinetic sculptures which just happened to be on at ACMI – and it blew their minds. Being underground, it’s also nice and cool on a stinking hot Melbourne day. But its free entry is a huge draw-card. I was listening to Justin Lester on Morning Report yesterday and was getting all excited about the film museum proposal he was pitching…until he mentioned the probable $30 – $40 entry price. At that rate, a proportion of Wellingtonians may go once but I can’t imagine many repeated visits. One only has to look at Zealandia and the financial strife they got themselves into when they “upgraded” their “visitor experience”, whacked up the cost of entry to $28.50 for an adult single-entry – and then saw visitor numbers plunge. 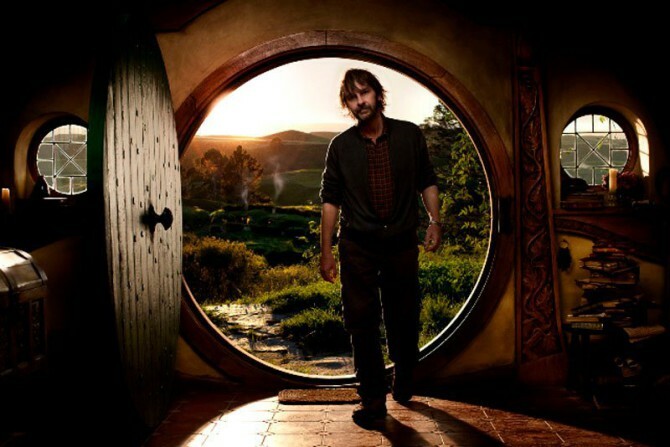 JohnH – totally agree that aiming an entry price at $20+ is a bad move – perhaps overseas tourists will / can afford that once, but I agree that NZ Hobbit fans are unlikely to ever go twice at that price point. So, I’d say that the numbers still need to be sorted out – but it should still be supported to get it off the ground. Plenty of New Plymouth peeps said they’d never go to Len Lye centre, and nor would the tourists – but heads up to NP – that building is the only reason I’d ever go back there ! Good architecture and good exhibition and good changing program will ensure many repeat visits and the same should go for NZ Film Museum on Cable.